A trip to India is a cluster of emotions. I’m not alone in saying this, you can ask anybody you know who has been to this colorful Southeastern Asian country, and the answers will all sound similar. I had heard so many times the sentence “When you come back from India, you will not be the same anymore”, that when I moved to East Asia for a year, my first travel goal was to go there. And so I did. Three times. All along these three trips, I’ve had the chance to notice some contradiction. First of all, I know India is a nuclear power, but I saw that some houses, villages, or entire regions constantly have electricity cuts. I’m not a fan of nuclear power, I always think there are cleaner and more sustainable energies, but since for now they have the nuclear plants, why are people without electricity? I absolutely agree with the fact that everybody must have the right to choose their own lifestyle, but I don’t consider hunger and living without the basic hygienic conditions a “lifestyle”. I’m not a fan of enslaving consumerism, but when a country boasts to be a nuclear power (like India does) and its population has shaky electricity in their house, then there is a problem. “India is the world’s biggest democracy”, was the sentence I was confronted with the most before going. I silently memorized, without the possibility (nor the will, for that matter) of countering. After having been to India three times, now I would have one or more doubts about it. I’ve always considered “democracy” a slippery word, but this definition has never been so apt. India is a democracy where the caste system is still present and very much kept in mind. To my ignorance, I thought this social more was long forgotten, that’s why I was very surprised when a friend of mine told me that a difference in the caste could affect social life such as marriages, and that to know which caste someone belongs to (meaning within which they are born, marry and die) they just need to ask for their family name. I admit, I have the impression that the caste system is a little more complicated than this, so I don’t feel in a position to criticize it. I feel it’s such an old social stratification dragged by its people for so long that is beyond my comprehension, and I’m sure I need much more time to fully understand. India is a fascinating country, apart from Delhi, I’ve visited two states, Rajasthan and Uttarakhand, and I’m not even done yet, I can’t wait to go back and keep exploring its traditions, witnessing its festivals, photographing its colors, landscapes, people, temples, monuments. This country is so powerful that it makes you addicted, especially thanks to the strong relation with nature that its religion and culture bear. But sometimes I had the impression that while foreigners enjoy the colors of this culture, natives are more often than not subjected to it. Before going to India I had met many Indians, both in Europe and in China, and I’ve always known about their culture, of course after what they used to tell me. I knew, for example, that they had the practice of the arranged marriages, but naively enough, I thought it was carried out only with the couple’s full consent and only in case none of them had found a partner yet. I was convinced this was actually a practice agreed upon by everybody, but while in India, I had the opportunity to see that it’s not always like this. Sure in small communities this might be the case, when families arrange the marriages just to connect each other within the comunity itself and the couple has nothing against it, but when people belonging to such communities have traveled, live in big cities, have met other people, probably they would like to have a different life. I personally consider this a cruel practice, as I don’t deem fair that a man or a woman are to live, sleep, eat and spend their lives with someone chosen by someone else. This, of course, is particularly unfair in the case either the man or the woman has already found their partner who was rejected by their families. I’m not saying this is a violence against the single, I have even met people who have actually asked their parents to choose their spouse and couple who were perfectly happy about it, and when this is the case, there’s no problem about it. Apart from the very personal sphere, also within the extended family, the expectations on sons, daughters and couples are so overwhelming that sometimes go even against their own interest. I had the impression that the wave of modernization within the society that the government seems trying to promote is banging against people’s resilience. Of course this doesn’t involve the entire population, as there are millions of Indians around the world who have bright careers and the power to decide about their lives, but how many millions are in India who can’t even decide when to get married? I have been thinking about this reality for a while, and I was pleased to read an article on the Harvard Business Review about the expectations Indian families have on women, daughters and daughters in law that pretty much reflects my opinions, Why Are India’s Women So Stressed Out? 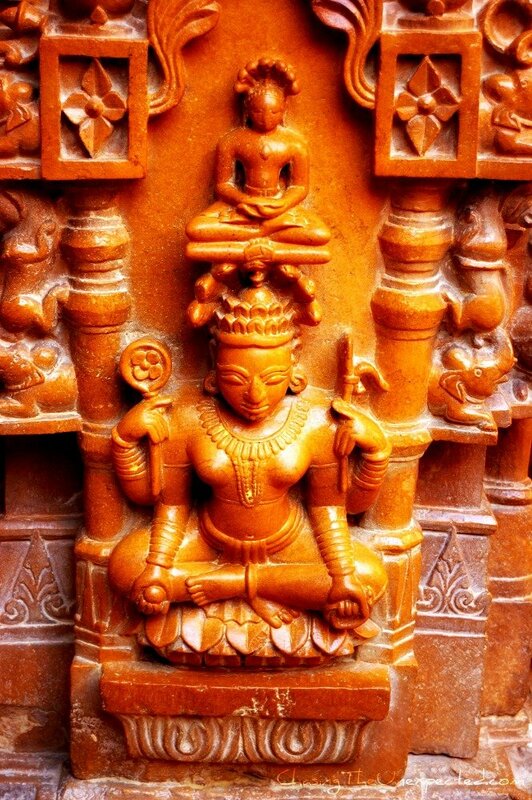 I’m aware that, although I have traveled and lived in many countries, I’m led to interpret what I see using the educational and social tools I was brought up with, so I would love if some of my Indian readers could enrich this post with their views, even to tell me that I have misunderstood or misinterpreted some of their culture’s aspects. One thing I can say for sure, India is like no other country. While I can make comparisons among the different places I’ve been to, India is one of a kind, impossible to compare even to its neighbors. Its culture, religion, traditions, lifestyle, mentality have no similarities with any other nation, its population lives according to its thousand-year heritage, proud about it and seemingly almost careful not to differ. Maybe this is precisely why India attracts and fascinates so many visitors from around the world, it gives a sense of ancestral ties that many places have lost. La curiosité augmente! J’irai en Inde!!! – India has only recently become a nuclear power. There was a huge controversy when the US became anti-nuclear-testing in India which halted many efforts. It’s only been a short while since a nuclear deal was signed. Having said that, it’s no excuse that some of our villages are still without electricity. I hope we’ll deal with it sooner than later. – The “caste system” that you mention here, that affects social issues like marriage, is rooted in something deeper. India, as you know, is a country of many different regions, each with its own language, heritage, traditions & subcultures. So to use the system to marry only makes settling with a person easier. It’s almost like saying that most Italians would marry Italians, most French would marry French. – The system of arranged marriages varies immensely in different parts of India. It has a lot to do with what families have seen on the world. I can’t say that it’s fair, but like you mentioned, it works for some people. I could go on, but my point is that it’s not easy to understand the depths or roots of where a lot of Indian “traditions” come from, nor the pace at which they’re evolving. Maybe we should catch up over coffee the next time you’re in India and discuss lots more :) You know where to find me! Hi Shivya, thanks so much for such a thoughtful comment. For sure all the points I’ve mentioned are way more complicated and impossible to tackle in only one post, probably even a book is not enough to explain such complexity. The caste system, as I said, looks very complicated, it’s something that maybe when it was created was unfair, while now I had the impression is more as “reference”, and anyway Indians can understand better then foreigners how it works as they are actually within it. Same for the arranged marriages, here in Italy there were cases in the past, but not many and most of the times they were against the will of either spouse or even both, this is why abroad is seen as such an unfair practice, but as I said in the post, I’ve met both a case of people who actually preferred an arranged marriage and people who are still struggling to impose their will to their family. It’s always impossible to generalize completely, what I wanted to say is that I’ve noticed in India that sometimes family pressure (which usually comes from social “duties”) can get very oppressive, and individuals can find themselves in a position of not being able to decide for their own future. Of course this doesn’t apply to everybody, thankfully! Haha, yes, but there’s always a next time I hope :) And yes, I can’t help but agree with your points on arranged marriages and how some families are more orthodox than others. I think things have started to change a lot with our generation, for better or for worse is what we’ll soon find out! Yes, this is the impression I’ve had too, young generations have a strong edicational background, many have traveled and lived abroad, for sure they will implement changes on the personal level. Hopefully traditions will be proudly kept too though! I’ve been in India twice and agree with most of what you said. I really enjoyed this post and the photos are just great. I’ve not been to India, but would like to one day. I think it’s a land of many complexities and probably a place I would want to research quite a bit before venturing to. India is very complex indeed, it’s a never ending discovery. simply beautifully captured shots & lovely reading about this myriad land! & much more! caste has been exploited by politcians & they need it for their votes to win elections! India largest democracy but still largely a feudal mindset democracy! The politcians both ruling & opposition survive on corruption! the media, corporate groups & bureaucracy are only too willing to fall in line with the politican in making a quick buck by bribing & corruption! Even if educated, Caste has been drained so much into the indian-classes across the nation that it will take years to diminsh its presence across the nation. 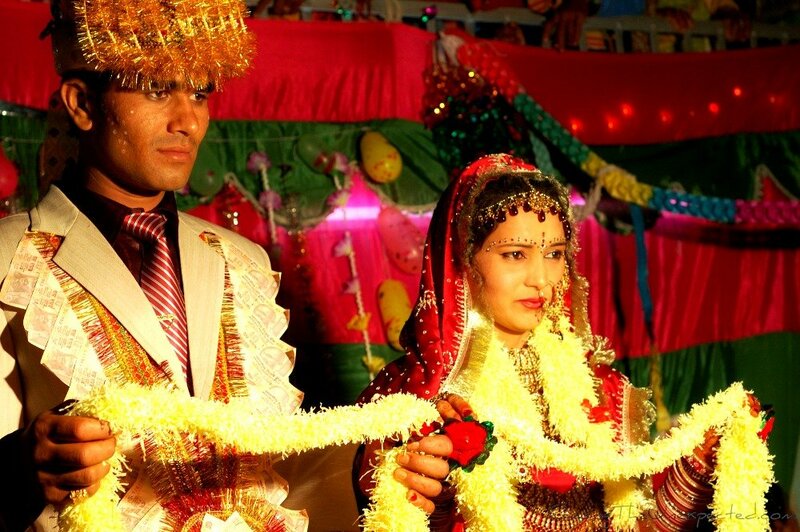 Arranged marriages & dowry they have their customs & traditions, & rituals! not gonna go away either too soon. Western education & Indian family value system only makes the individual more confused & requires a lot of maturity & family support to survive either! Thanks a lot for your insightful comment, of course Indians perceive all the issues within their country better than foreigners, who can see only the surface. I went to India three times, but never lived there for an extended period, which I would have liked, as you know, but didn’t have the possibility. Certainly the country needs time to develop and evolve in a way that everybody can benefit, I hope this will happen sooner rather than later, as there is a huge part of the population that needs better life conditions. I think it’s very beautiful and absolutely important that people proudly keep alive their oldest traditions, but they can do this and at the same time allow their youngest family members to progress and be independent without making them feel guilty. That’s a lot to tackle in one post! I enjoyed reading your thoughts and comments — three visits is a good chunk of time to form educated opinions. Although obviously we go deeper and deeper with every trip. India is so complicated, and I can’t believe I’ve never been. So I continue to be fascinated by others’ travels there! Thanks Abby, I’ve only written my personal impressions, obviously after talking to locals, with whom I’m still very much in contact and sharing with them as much time as possible, so I didn’t just dream it.. Of course I need to go again, and every time I will learn something more. I’m so curious about their religion, it’s so present in their daily life, and they have so many rituals that it can only be super fascinating. I wish I had an answer. But I don’t. Even though we never had – officially – a cast system, their were unspoken laws that one had to obey or one was an outcast. When my parents married and started their life in the village my mother grew up, my father was considered an “intruder” and didn’t get certain jobs because of that. He wasn’t even able to become a legal citizen of that village. 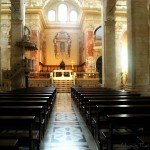 When I married into an Italian family (albeit living in Switzerland)and catholic on top we experienced many racist reactions – from both sides. India is a huge country. Italy, where you come from, and Switzerland, where I come from, are tiny specs compared to India and even we struggle to tackle our own problems. But India will change. I have good friends all over India and see the changes put in practice. I think due to the enormousness of the country and the huge differences in culture, language, customs etc. it just will take longer than anywhere else. When I first visited 25 years ago I made friends with a couple that sent their daughter to one of the best universities in the country but their son went to a local one. When I inquired why the difference, their response was that women needed the best education there was in order to get ahead in India. The only promise their daughter had to make to the parents was, that she would work a few years before getting married. They wanted to make sure she knew she could manage her own life in case her marriage wouldn’t turn out as hoped. Her father is a Brahmin and her mother a castles Nepali – of course both of them were disowned by their families. Meanwhile though change came to both families and they reunited. This is just one example I experienced – there are many more. Even if it took more than 20 years for this particular family, to me it means change is on its way. Yes, I too think India is changing, probably as you said, a bit more slowly than other countries. For example I had the impression China is changing much faster than India, and it’s also a huge country. I can imagine the hardships the couple you mentioned must have faced, especially because in India family ties are the most important thing. They were really brave to stay together even when both families disowned them. Unfortunately I have known people living this kind of problem still today in India. Sure this can happen in Italy too, but it’s not the rule, actually if a family disowns their son or daughter because of the spouse they choose, it’s a big topic of conversation (and gossip!). In India it still seems to be the norm. Also, I know many women study in India, and they also work, like everywhere else I think both husband and wife often need to work in order to provide the family with all the necessary. In Europe too in the past women were not really encouraged, or sometimes even allowed, to study. When my mother and her sister decided to go to university, everybody told my grandfather he was crazy to allow two daughters to study, and my grandfather candidly replied he managed his family the way he preferred. I’m aware many families just wanted the women to get married, but this has changed too, and of course now it’s not mandatory anymore to get married at all, one can do pretty much what he/she wants. 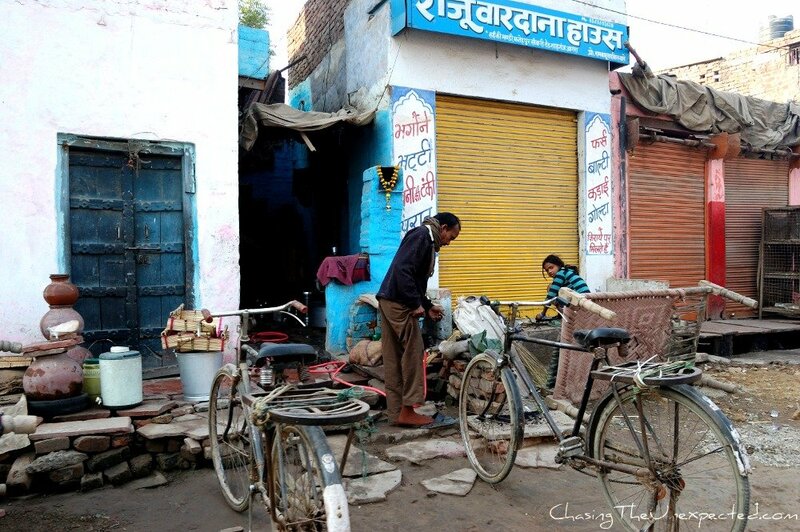 I’m sure India is changing, just I had the impression I was personally witnessing some of the things my grandmother told me happened in my hometown when she or even her mother were young. In India I was living with very conservative families, but I found it helpful in order to understand the very local aspects of such a complex society. Sometimes it is difficult to formulate an opinion if you are on the outside looking in, especially a subject as complicated as India. Everyone is entitled to their opinion and yours has a solid foundation. In fact, I agree with a lot of what you said. While I have never personally been to India, I am fascinated it culture, but more so by its people. They are a persevering and progressive people for whom I strongly believe will rise to greatness. So much so, I’ll even bet that they’ll even surpass China as a superpower in SE Asia (once they build a solid infrastructure, of course). I do think we as westerners misunderstand a lot about what’s going on in their country. This is probably a good reason to keep going back and learn something different each time. Looking back at your post, I don’t truly think that anything you said was meant to be derogatory. You were simply writing truthful observation on your blog. And a person’s opinion is never wrong. So don’t worry – no one who dislikes a country would want to go back. Its obvious that you are fond of the country. I’ve met and known a lot of Indians from my travels and from those living right here in Seattle where there’s a HUGE population, particularly because of the the software industry. They all seem to have high hopes for India with optimistic eyes. I think once India builds the infrastructure that China has already made for themselves, India will have a better chance of competing with the economic giant and as such, I still believe, India will surpass China soon after. I have been to China, (and I loved it there), but I think that their growth is regional based. Most of their cities are strong and powerful, but a majority of their people do not live in the cities and the ratio of population to modernization is obscured. This is why I think a country like India has a better chance. Because while not obviously improving in the big cities like China, the slow improvement is within the country as a whole. The CEO of GE (one of the largest companies in the world) did an interview a while ago specifically about India and why GE choose to invest more in that country over China. He, like myself, have a similar views on India. Sadly, I could not find that particular interview as I have a huge collection of videos. But the point being: there’s poverty, there’s corruption, there are many things that don’t seem to be signs of improvement. But a little bit of corruption and strife is part of progression, as bad as that sounds. And now more than before I’d really love to see India for myself. Previously, I have avoided the country because of all this things you mentioned, but now in thinking about it, those things are probably what makes the country worth seeing. Maybe on my next trip to Asia I’ll land in India. India certainly is a country to visit, and you will be fascinated by its culture and traditions. 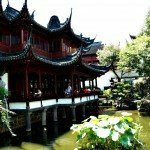 The reason why I don’t think India will surpass China is actually that one, in China the development is slowly involving all classes, of course there are the super rich, but everybody’s lifestyle is improving, while in India the condition of the poor is still the same, while the rich is getting richer. In China of course not everywhere is like Shanghai, but they are fast modernizing also rural areas, they are building entire cities at the speed that’s typical Chinese, and I’m very confident next time I go, the situation will be better than when I left. Unlike many people think, Chinese progress was not a sudden boom, it has been a carefully planned process where every single person has their merit, years of work, savings and organizing. In India, even just looking at the conditions of the streets I could see the difference, there are no sidewalks, even main roads are broken and look like country lanes (I’m talking about the capital, not a godforsaken village), to do 300 km it took us almost 10 hours, we got stuck on the road due to heavy rain and slide and when I suggested to call the road service I just provoked everybody’s laughter, in some villages I’ve been there is no water, nor electricity, just many little, or not so little, things like these. Corruption in India is not only on the national level, it’s very much like in Italy, also on the local level, and it’s not sustainable, Italy is collapsing, due to this corruption, local, national and with international involvement, the country is bankrupt. Just now, when I was leaving India I met an Indian man living abroad and he told me he could have never improved his lifestyle if he had stayed in India. Now he’s wealthy, and he has pleasure to go back to his country to visit his family. 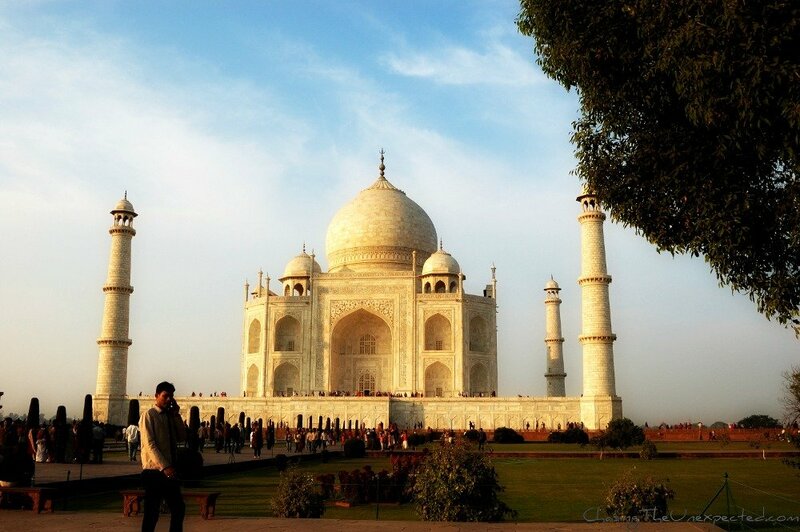 To be honest I read less but like to watch images and Taj Mahal image – Beautiful. Thanks for sharing. Very interesting post, Angela! Clearly, quiet a few of us have replied above with detailed comments! Great story and excellent photos! Best wishes from India, we live here with our three children having moved from lovely Wilnecote, Staffordshire and see the good,bad and indifferent everyday. It truly is a remarkable place, sometimes frustrating and sometimes fascinating but never dull. Sent a couple of pictures from the Taj to your Twitter site. Have fun. I’ve always been fascinated to read, hear the opinion of my country from a foreigner. It amazes me how people see it in so many different ways, which are all true ways, India being India. I agree on a lot of points that you mentioned and wouldn’t deny the pressures women are under, the youngsters face due to the caste system, the politics, the poverty, the richness and so on…..I feel we as a country have so much of disparity, so much of contrast in everything. On one hand, you will see extreme poverty where people may live without the necessities of life and on the other hand, you will see the affluence of Mumbai, Delhi, Bangalore, gurgaon and many other places that I myself haven’t seen. The best example – Mumbai is having the most expensive home in the world….it’s the disparity that boggles your mind. Its my personal belief that if you want to see India, go to Mumbai. It’s so diversified. You will meet all kinds of people, people from all over India, the rich, the poor, the strugglers, the achievers, the just getting-there….all kinds. You will see the poverty in the slums and richness in the high rises. The crowded trains carry people of all kinds. You will see a kind of unity in the trains that you won’t see anywhere else. The regulars form groups – knitting, crochet, book….have food parties, birthday parties, all in the hour or two hour long commute. It’s a bond that unites these ladies who struggle to maintain a balance at home and work, managing home, kids, husbands, in laws, cooking all in the Span of less than 20 hours…. The young moms of today balance their careers, personal life, in laws, kids and husbands with ease and trust me, they are the super moms of today. They work hard and they know to party harder too. As you so very rightly said, it’s not enough to stay there for few days, to know the country. It has it’s downside, but it sure is incredible!! Would love to hear more from you about my dear country and do try to go to Mumbai when you can and if I’m there, would love to take you around. Thanks so much for your comment Dipa, it’s been a pleasure to see the feedbacks of so many Indians, you did add a big value to this post. You’re right, there are so many incredible India(s), it would take a lifetime of fulltime work to understand and interpret your home country :) It’s interesting that you suggest Mumbai as the best place to see India, I admit I hadn’t thought about visiting the city as it has always come up as a financial center and I’m more keen on visiting temples and historical places. I can imagine how terrible the slumdogs must be, I honestly don’t know if I want to see the striking contrast between them and the rich areas, but I’ll be thinking about Mumbai for next time I come to India and I will certainly let you know. Thanks for stopping by! And yes, I too feel we are a long way away from being the power..like Shailendra says, we are easy going, we are like that only…. Yeah, probably because it’s not considered a touristy place it’s even more authentic! Hi Angela. As an Indian who stays in India and travels out often, the glaring gap between the ” developed ” and us is more disconcerting to us than anyone else. And since I travelled to both China and Italy recently, i feel I should put my two rupees/ euros/ yuan here :) . Your posts title is a tell all. There is not one India. As a collective noun, it’s easy to club everything , but in reality it’s far tougher. There’s an India of the corrupt, there is an India of the super honest. There is an India of the laid back ( yes, very Italian, experienced first hand , lol) ; and there’s a workaholics India. There is an India of caste based segregation , and there is a melting pot of cross cultures. A lot of ” problems” like arranged marriage come from the simple passing down of the convenience of finding a compatible companion who understands the same cultural passages and traumas of going about life in a very congested and complicated society. No, I don’t think we will be able to surpass China. We don’t even , as a collective noun have that will and instinct. There is no burning hunger to conquer the world like the Chinese have. There is no sense of urgency here to live a different quality of life. What’s holding us back? My guess is our holy books told us to accept what we have and not worry too much about what can be. Like a very famous book title goes, We Are Like This Only. We will get there, hopefully, soon as we can get rid of a lot of extra baggage! Thanks a lot for your insightful comment, your reference to your holy books is very interesting, I hadn’t thought about it, although I inevitably noticed how much weight religion has in Indian society. As for surpassing China or not, does it really matter? Can we all do well without surpassing or being surpassed? I do think India has a great potential, but I also think there is social injustice that needs to be erased, as I had the impression this sometimes stops many people from doing their best, and feel compelled to abide by social norms even if this means not to have the life they want. A great post. I agree with some of the comments, it is difficult to fully understand a culture unless you are born into it or completely immersed in it for a long time, but our observations of what you see and experience are still valid. As a western born Indian, I struggle everyday with some of these issues. Whilst I understand the cultural context for many of these things (ie. marriage, caste etc), I also look at them through Western eyes and struggle to reconcile the two. Your photos are also beautiful, thanks for sharing. I like images. Thanks for sharing. Thanks for your comment, Ernst. Sometimes I think the definition of world’s largest democracy is given more for propaganda purposes than honest description of a place. Democracy is a slippery word, if they want to define it such just because it has a Parliament, free to, but then we need to define better the word “democracy”. India is such a complicated society than labeling it with one term is simplistic and misleading. When I went to India in 2007, I was so overjoyed to be travelling abroad, but when I got there I was not sure whether to laugh or cry. Yet after spending a couple of weeks there, I did not want leave. 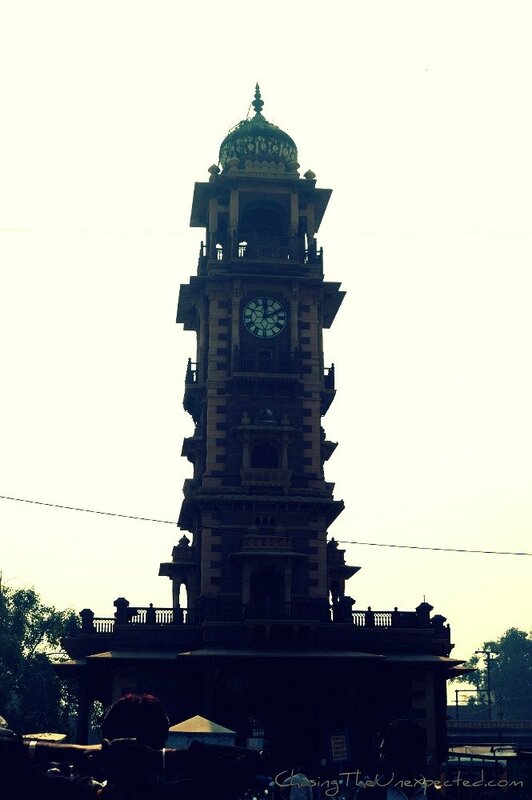 I especially enjoyed travelling by bus from Delhi to Jaipur then Agra. Its a time I will never forget. India does leave you with unforgettable experiences, the best and the worst of your life, but certainly impossible to forget! Super post Angela !! Loved it ..especially your picture speaks a lot !! In India an adult cannot take his own decisions mate coz of tradition and culture ..most of them will stick to their family . Parents play a vital role in marriage or what ever occasions .As a adult first career and then he can take his own decisions . Your conclusion part is true Angela .Every state is different from each other !! I Completely loved it .. Thanks a lot Sheril, much appreciated, especially because it comes from an Indian. Can’t wait to go to India again and keep exploring your culture! Many things stated are frustrations felt by many. This is a big country with many, many issues to face. But, there are a couple of points to consider here – history as old as history itself. It is one of the cradles of civilization, so the traditions have deep roots. It bears little to no resemblance to east asia, nor southeast asia. Trying to understand it through the lens of our own cultures is doomed from the start. Once you’ve spent some time here, the curiosities unfold. It is everything, yet nothing like what we’re told before we come here. That, aside from wanting to scream from the top of my lungs on occasion, is one of the reasons I live and work here. It is not one, but many, many nations – each with its own language and traditions. Just embrace it. Don’t worry about figuring it out. That will take some time. And, if you come to Bangalore, I’ll treat you to a nice espresso and biscotti in one of our lovely cafes.